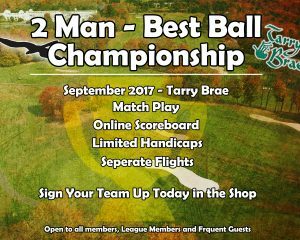 Tarry Brae will be hosting a 2 man – best ball golf championship during the month of September. Form your team today. Team will use limited handcaps and be placed in flights, depending on how many teams enter. 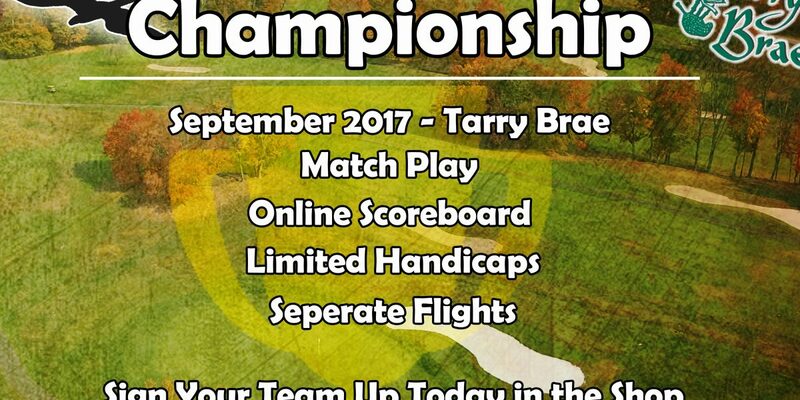 Matches will be played on a weekly basis.